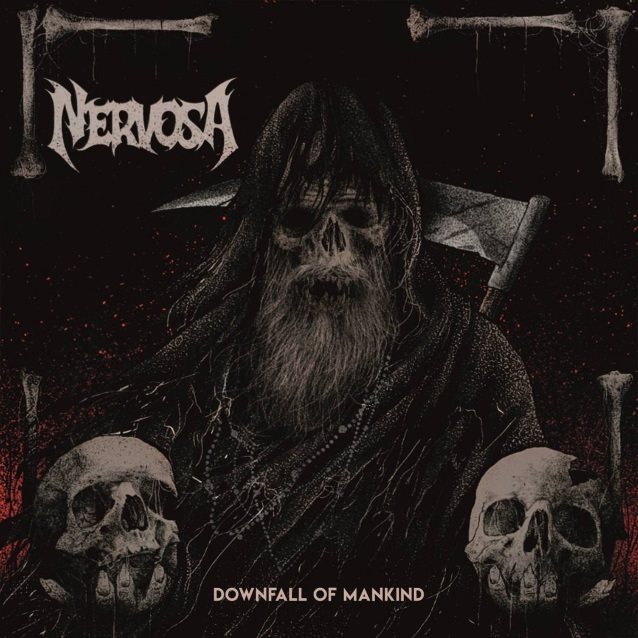 Brazilian all-female thrash group NERVOSA will release its third full-length album, "Downfall Of Mankind", on June 1 via Napalm Records. 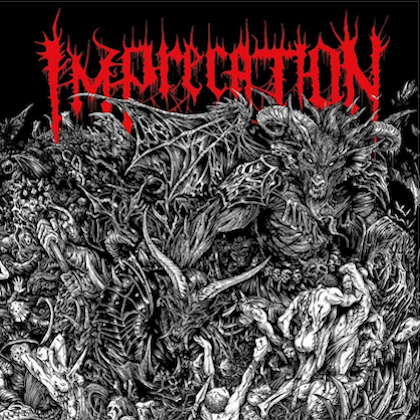 The disc was recorded at Family Mob Studio in São Paulo with Argentinian producer Martin Furia, who worked as a sound engineer on some of NERVOSA's European tours, as well as for bands like DESTRUCTION and FLOTSAM AND JETSAM, and produced recordings for EVIL INVADERS and SISTERS OF SUFFOCATION, among others. Bassist/vocalist Fernanda Lira comments on the new CD: "We're really happy about this new album. It's a way more mature and aggressive record and we can definitely say it's our favorite so far!" 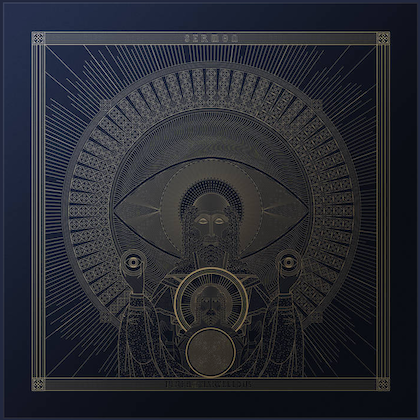 "Downfall Of Mankind" features guest appearances by João Gordo (RATOS DE PORÃO), Rodrigo Oliveira (KORZUS) and Michael Gilbert (FLOTSAM AND JETSAM). 06. ... And Justice For Whom? 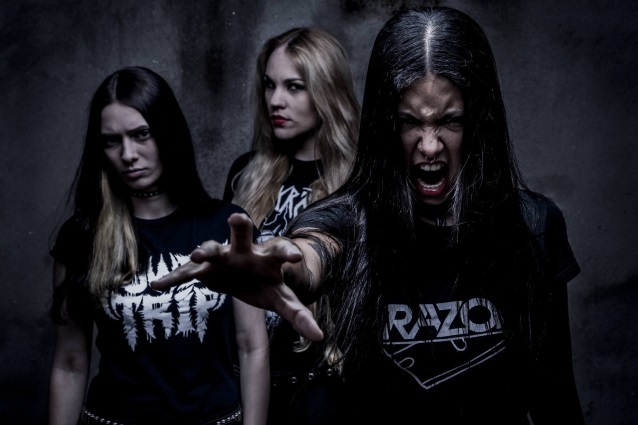 NERVOSA is currently touring Europe with VENOM INC. and SUFFOCATION. In a 2016 interview, Fernanda told AntiHero Magazine that NUCLEAR ASSAULT was "the band that made me want to have a thrash metal band. I don't think I was even born when they were released," she said. "I was born into a very metal environment, because my dad was a metalhead. My earliest memories involved metal. When I was six or seven, I had collections that my dad used to record on tape. He would put on from KISS to SUICIDAL TENDENCIES to WARLOCK. So since I was very young, I was used to listening to metal. And because my dad is older, he was really into the New Wave Of British Heavy Metal. So I started listening to metal from these bands of the 1980s. That's my favorite school. All the bands I love, and my favorite albums, are from the 1980s. It's something natural. My dad showed me them, and when I started looking for bands' discographies, I would start from the beginning, and naturally the albums from the 1980s. And, of course, with the exception of death metal, my favorite albums are from the 1990s. But it was just sort of natural, it's just that sound, probably because I'm very influenced by what my dad used to listen to. All the classic albums are from the old school, and I'm really influenced by these schools." She added: "What I think we do is we take these influences we have from the bands of the 1980s, which are the bands that made me want to have a thrash metal band, and taught me how to write metal songs, we take that and mix… like the quality of technology of today and new albums from old bands like TESTAMENT and CANNIBAL CORPSE, and put it all together."